Cheap Land For Sale In Oregon - No Credit Checks! We’ve been selling country acreage in the Klamath County area of south central Oregon since the late 1980’s. We specialize in small 1-3 acre parcels that are zoned for building one home. Some lots have power and phone. They are surveyed with deeded road access. We Finance Cheap Oregon Land with Low Down Payments, Low Monthly Payments & No Credit Checks! One year option to switch the equity to another property if you are not 100% happy when you see the land if bought sight unseen. No prepayment penalty for early payoff. In fact, we offer 10% off the remaining balance if you pay the lot off in the first three years. We trust you’ll enjoy our site! Please DO tap or click the link on the top bar where it says “Available Land & More” to see the actual pictures of the land for sale! Note that this area boasts 290-300 days of sunshine a year! It has over 80 lakes and 100 rivers and streams! These parcels are perfect for a home or a cabin. Invest in yourself and your family’s future. It is never too late to buy land. Mark the site a favorite and feel free to visit often, or sign up for our email list and be notified automatically when we list new properties. The land turns over quickly. Nice parcels, those with electricity, or trees, or both, go the quickest. Enjoy the site! May you end up richer one day by at least one piece of land in Oregon. Your land won’t “disappear” like a stock investment could. It’ll always be there, for you, your children, and their children. Invest in your future. 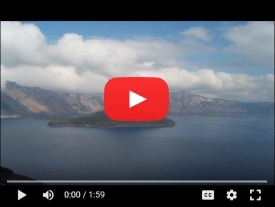 Even though it was a bit smokey from all of the wildfires in California, this drone footage of Klamath Falls Forest Estates – Unit 4 – Lot 1.93 should give you a good idea of what some of the land we sell looks like.